Alright, guys: it’s time to reveal the difference between Foil vs rotary shavers. Once and for all. Personally, I’ve used both types for quite some time. In fact, I’m currently grooming myself using both a rotary shaver and a foil one. I would like to note that I’m mainly using them to shave my head. Diffuse thinning works like that, sadly. However, when I decide I’m too lazy for a razor or my T Outliner trimmer, I go for the face too. Honestly – I need to keep it as close to bald as possible, and my facial hair grows like a bush in no time. Without these I’ll be the ugliest caveman you’ll see. Do note that these are my current personal choices. There’s plenty of other models that rock. If you value premium, extra smooth grooming, the Braun 790cc from Amazon.com is the King of foil shavers. Norelco’s higher end rotaries are outstanding too, I used their 8900 back in the day. Wahl’s foil shavers like the 5 Star Shaver Shaper from Amazon.com deliver great results, but they’re more suited for head shaving or fade finishes. Though Braun might make the best foil shavers for the home, they don’t quite work in a professional setting. 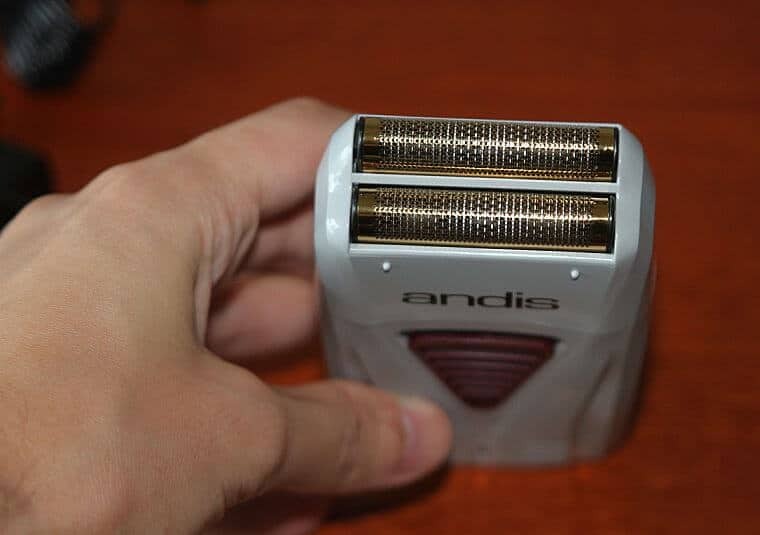 Which is why so many barbers will have the Andis Profoil on hand. It can stand up to some rigorous use in the shop. Anyways. Onwards to how Foil vs rotary shavers differ from each other! It’s all in the cutting heads and their motions. Looks like something that can’t wait to go ham on your skin in Foil vs rotary shavers, right? Don’t worry. Surprisingly to some, foil shavers tend to be gentler on the skin. The foil exterior that covers the sharp blades beneath it is to thank for that. There is more surface area and less exposure to the blades underneath than you see with rotary. This offers up a nice glide across your face with little irritation. That doesn’t mean that using a foil doesn’t cut as close, though. It will give you as close a shave as a rotary. They just work differently. 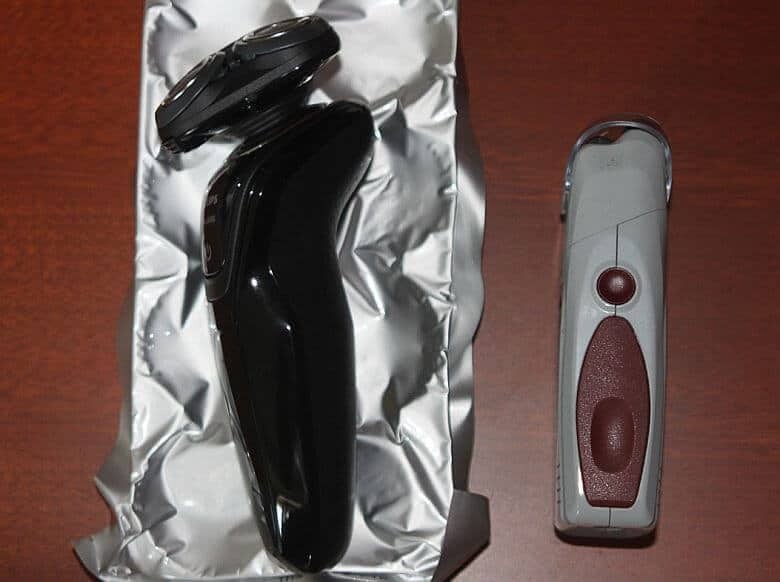 You can’t see the blades, but if you disassembled any foil electric shaver, you’d see they move back and forth. There are no circular motions. Which means that you have to follow the same motions when you groom yourself. Otherwise you’d receive a not-so-pleasant razor burn surprise, even if you have tougher skin. This one looks a bit scary too, right? Three discs that spin like crazy just to deliver a close-cutting experience. You can see from the picture that there is much less surface area covering the blades as there is with a foil. This means that it isn’t quite as easy on the skin as a foil shaver. This really only applies to people with sensitive skin, though. On most people, it will feel smooth and not at all uncomfortable. I have sensitive skin so it took me a while to find this rotary shaver that doesn’t give me razor burn. Remember – shaving with an electric shaver is all about following how the product was designed. So, unlike foil shavers, you’ll be working in a circular motion. Don’t go up and down or back and forth – this is a surefire way to cause some nasty irritations. Foil shavers are quite rigid in conforming to all the peculiar features of our faces or heads. I did a quick time experiment. I wanted to see what difference would there be between shaving my head bald with a rotary shaver, and doing that with a foil one. The foil took almost twice the time due to this exact reason: not conforming to my contours/shapes properly. You should have also seen my weird movements when trying to get the shaver to work properly on the trickier spots. It’s pure hell. For face grooming, rotary shavers are way better if you have a lot of hair growth around your neck. That area is the bane of most foil shavers – they perform way better on flatter surfaces like your cheeks. If it’s about shaving your head and you have a more…complicated head shape like me, they make more sense too. This is why if I were going to recommend a foil razor for home I would say go for any Braun electric razor over the Andis Profoil. The Braun will work better on the face and around the contours of the head. But the profoil can withstand the rigors of being used all day in a shop. Especially when doing skin fades. It just doesn’t compare when using it yourself on your own face as a Braun. 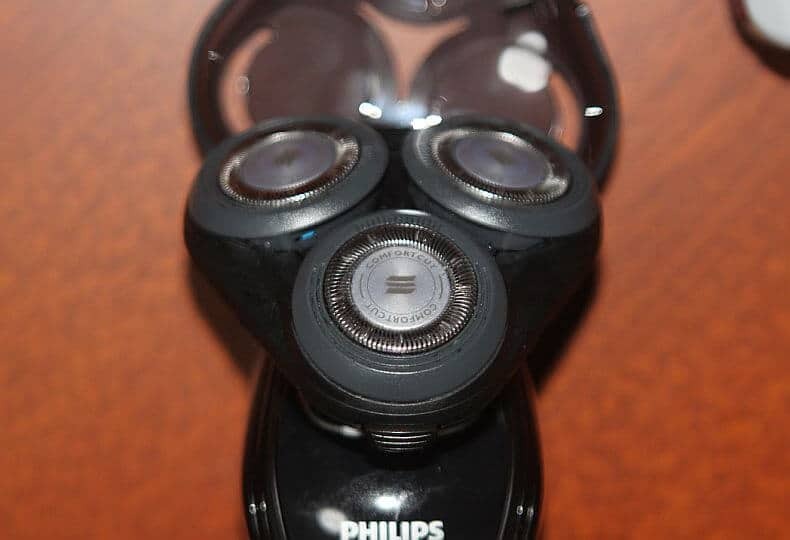 The way those rotating shaver heads flex and bend is a godsend in such situations. Foil shavers can cope, yes, but they’ll take way more time and leave you frustrated. …As a whole, shaving your face or head with a foil shaver will yield closer, more accurate results. Whenever I’ve worked with a rotary, I’ve needed to go a few times on some areas. In terms of going bald with a foil shaver, there’s always been that smooth feeling everybody loves. Cheaper foil shavers can be frustrating to clean, though. I need to brush hair away with my Andis foil shaver all the time. This is true for Wahl shavers too, actually, as noted in a comparison we did here. The “compartments” beneath the spinning head can hold quite a bit of hair. Especially if you’re going for the face, not shaving your head with a rotary. On top of that, you just need a quick rinse and you’re done. More expensive foil shavers like the Braun 790cc, however, come with cleaning stations. Or models like the Panasonic Arc5 LV95 from Amazon.com come with automatic cleaning bells and whistles! This is a direct solution to some cleaning frustrations you might have. Rotary or foil electric shaver for sensitive skin? Again, this depends on models. Naturally, some higher end models will offer gentler cutting and extra protection. On top of that, those shavers who have a “Wet/Dry Operation” label will allow you to sprinkle some shaving cream and shave with that. People with extra sensitive skin will love this feature. As I mentioned, usually people say that foil shavers are gentler on facial skin or when you’re shaving your head. There are also preshave oils and creams for use specifically with electric shavers if you don’t want to deal with a glob of shaving cream. You only need a very thin layer to avoid razor burn and there is very little mess or fuss this way. The funny thing is, for me it’s exactly the opposite. My foil shaver – probably due to its ultra strong motor, is a little bit rougher than the Norelco rotary. So what I usually do is go for bulk facial hair/scalp hair cutting with the rotary shaver. For final “polishing” and extra smooth results, I do a quick run with the foil. For those of you who’re looking for a balding electric shaver…I have a feeling you gentlemen will want to sport a glorious beard. Remember to ensure it grows healthy – I’ve written a bit on beard oils and balms. Again, according to my personal experience. 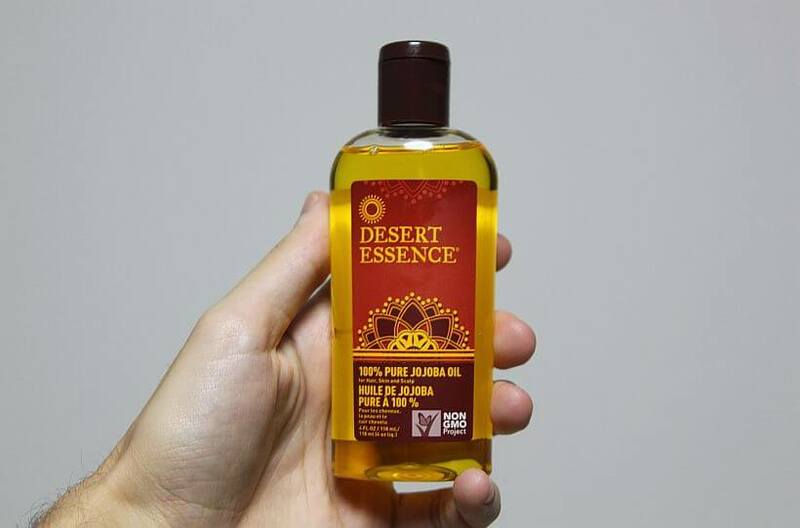 Truth be told, I use that Jojoba oil on my freshly shaved head too! What about a foil shaver for my pubic hair? I’ve had a few people who were curious whether the foil shaver for balls is a thing. 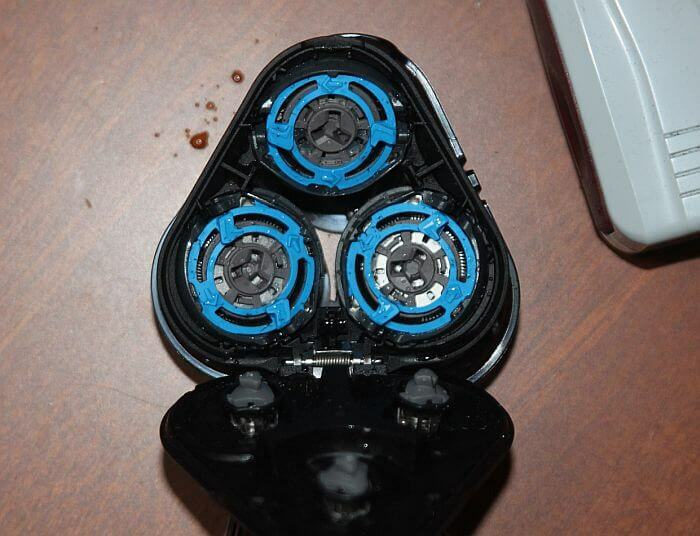 Both rotary shavers and foil ones are not suitable for grooming down there. Well, not if you like cuts and pain, anyways. The strong, up-and-down motions of the foil electrics are especially incompatible. Do yourself a favor and go for a proper pubic hair trimmer in this case. You won’t regret it. Really nice and detailed comparison of foil and rotary electric shavers. 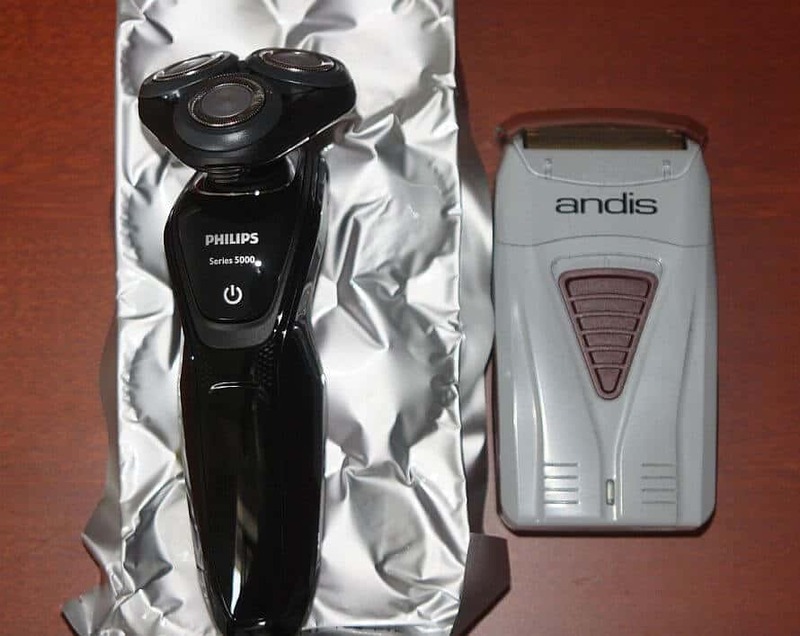 How about price ranges is it worth paying few hundred dollars for high-end Braun or Philips models or some way more affordable Chinese shavers are good enough too? Thanks for the message. Without a doubt, the high-end shavers will offer you more value. They’re made of higher-quality materials and trim the hair more precisely without leaving you with razor bumps. Better yet, some of the fancy models today can even be used in the shower so you can shave with shaving cream. There are, of course, plenty of reasonably priced models and home-trimmers that will offer you a great shave without breaking the bank. In fact, we review many of them on our site. Hello. I currently use clippers with size zero blades for my scalp and wet shave with double-edged safety razor to shape my beard. I find that I need to shave my neck and cheeks more often to keep a nice looking beard. I was considering an electric shaver. Do I need two? One for my scalp and another for my neck and cheeks? You can definitely use the same electric shaver for your head and face. You just have to make sure that the hair on your head is not longer than stubble. Are you going for the bald look? The electric shaver is going to go all the way down to the skin as opposed to the 0 blade that you’ve been using on your head. And, believe me there is a difference. Not that it looks bad or anything, but you may like having that stubble on your head. Great article. I sell and buy shavers on eBay, and my personal choice is foil. Over the past 50 years, I’ve realized the most consistent shavers are electric, not battery rechargeable. It is tough, though, to find, and compete price-wise, for new old stock electric shavers like the Remington XLR series…likely the best foil shaver made. Unlike today’s battery shavers, it is AC powered, runs on 60 cycles, and was a heavy, but durable, made in USA product. But people are in a hurry I guess and don’t have an outlet always available, so battery shavers are fine…I just prefer electric’s convenience of no discharging/discarding of the shaver…thanks again for the good article, and what you say is very accurate…I found out quickly foil was best for me.